Today we wanted to highlight one of our franchises in Fairfax, Virginia. Owners Brent and Laurie Redfearn provide their clients with the highest level of customer service and we are proud to have them as part of our Miracle Method team. Take a look at a recent review on Rate Point about our Fairfax location. Miracle Method of Fairfax is an exceptional company to work with. Brent, Laurie, and Charles were extremely helpful and provided excellent advice in improving our two bathtubs, tile surroundings, and shower door installations. Brent and Charles provided advice on work that actually saved us hundreds of dollars from what we thought needed to be done. The work performed by Charles was excellent. Laurie provided excellent advice on shower door selection. They arrived promptly as scheduled, plus Laurie called in advance to advise when Charles would arrive at our house. This was the best experience I have had with any company doing work in my home. I have already recommended Miracle Method of Fairfax to several co-workers. 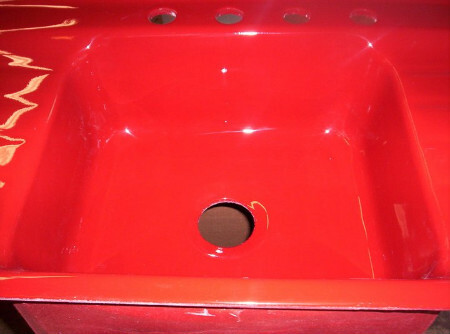 Miracle Method in Fairfax recently helped to refinish an antique cast iron sink for one of their customers. 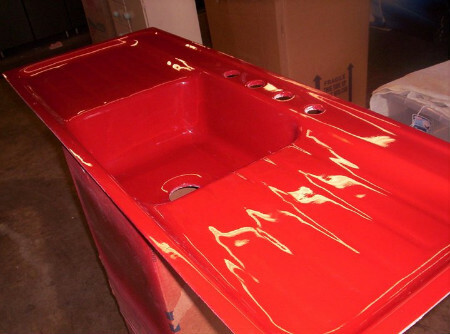 After multiple coats and sanding they were able to make this beautiful sink shine once again. That look at what Miracle Method of Fairfax can do for you. 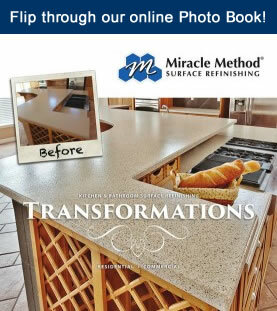 To learn more about this franchise please visit their local website at http://www.miraclemethod.com/fairfax.